Klearwater Lake | Magic is…. We want to provide a place of peace and beauty. Leave life’s stress and come relax. Beautiful RV sites around a 4 acre spring fed lake. Sites have grassy area, fire rings, and picnic tables. Overnight and seasonal sites. Near Muncie, IN and Ball State University. Family and pet friendly. Easy access from I-69 and St Rd 3. 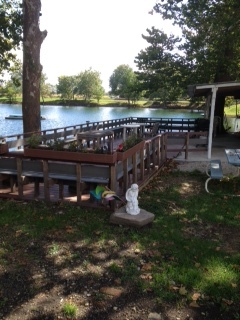 Stocked 4 acre fishing and swimming lake with beach, WiFi, camp store and more. Golf courses in the area. Birthday parties, weddings, group events, covered deck + shelter house rentals. We accept : Cash, Checks, Visa , Mastercard, Discover. A 3% fee will be charged on all credit card transactions.